When the stress of legal troubles is affecting your personal or business life, you need an attorney who can take some of the weight off your shoulders. 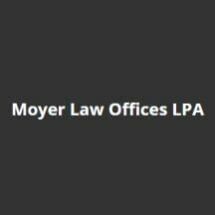 For over 30 years, we at Moyer Law Offices, LPA, has made it our mission to provide every case the personal attention it deserves. From business disputes to criminal charges, the comfort of our experience and individualized approach allows us to handle the legal work, while you focus on the rest of your life. Our office is a restored brick townhouse in the beautiful tree-lined community of historic German Village, nestled in the center of Columbus, Ohio. We work hard to make our office a tranquil space in the middle of an otherwise intense city. In the same way, our law firm can bring you calm within the turmoil of your legal challenges. Our founding attorney, Stephen Moyer, handles each case personally. In addition to over three decades of experience representing individuals and businesses, he is outside counsel with the Revenue Collection's Division of the Ohio Attorney General's Office. We believe there is no such thing as a small legal issue, and all of our cases receive the benefit of our compassion, character and legal skill. Call us today for more information or to schedule your free initial consultation.